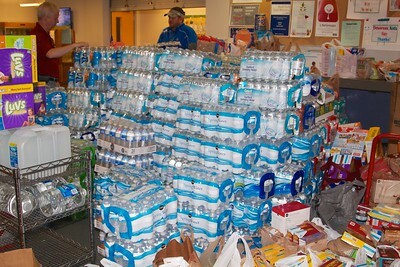 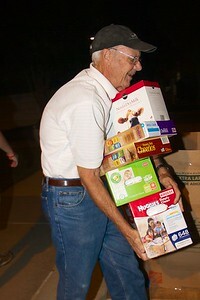 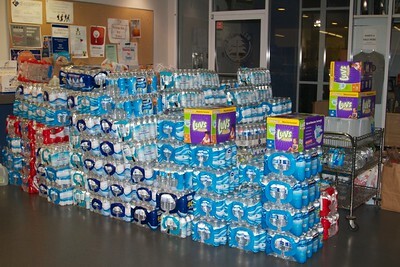 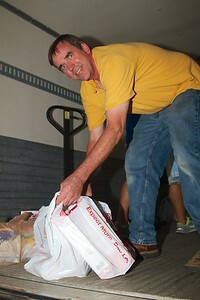 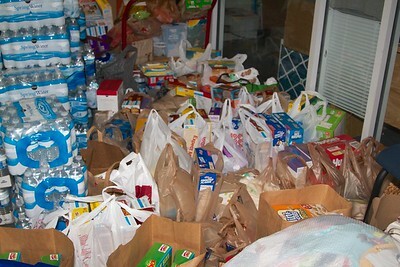 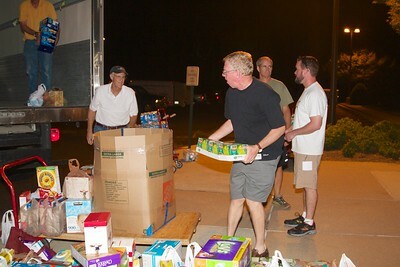 One picture can't dow how much food, water, and other supplies were stacked in the CAC. 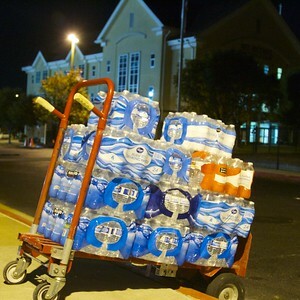 But this gives some idea. 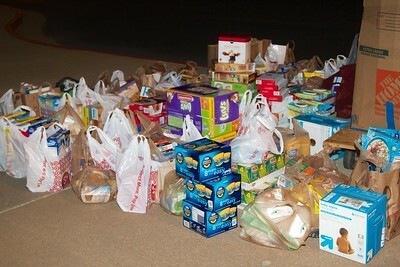 Just part of the grocery donations. 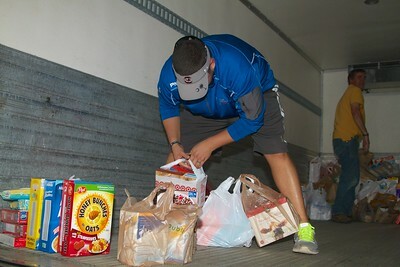 More groceries, ready to load on the first truck. 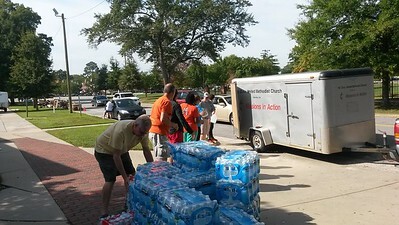 This picture symbolizes tho big yellow church in action. 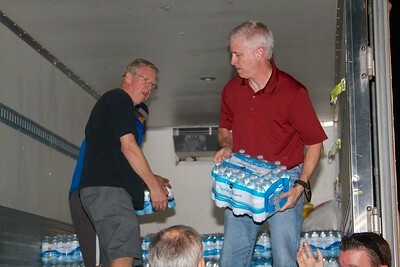 It seemed as though it might be faster to roll the water up into the truck, but not so much. 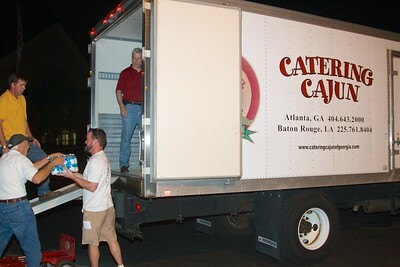 Catering Cajun generously donated their truck for the mission. 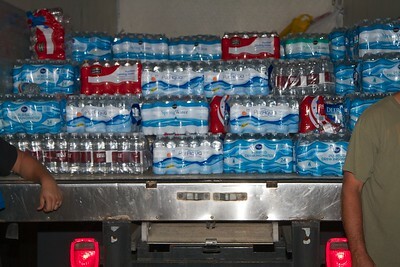 This truck is full. 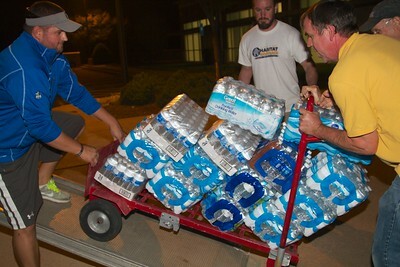 More water could fit, but it's at its maximum weight capacity. 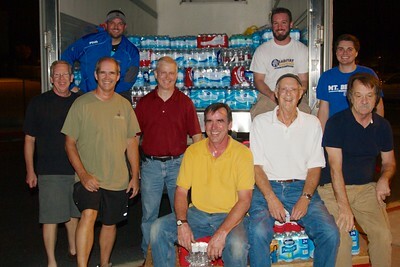 The team who loaded over five tons of food and water. 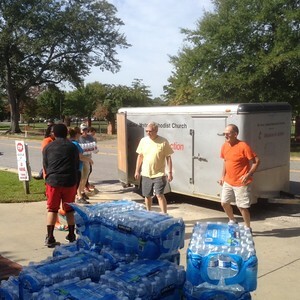 Starting to load the Mt. 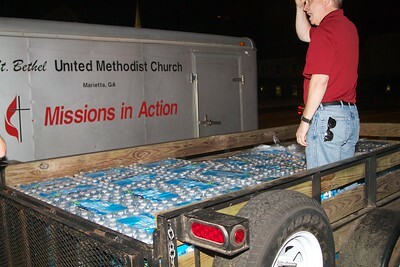 Bethel trailer. 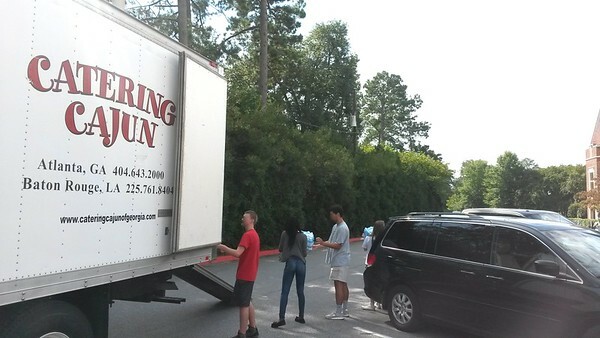 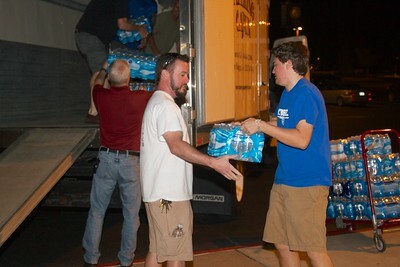 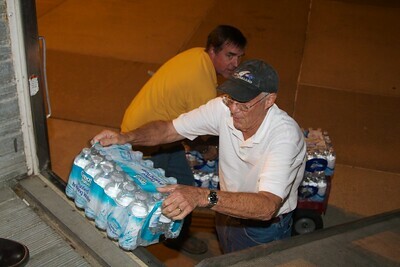 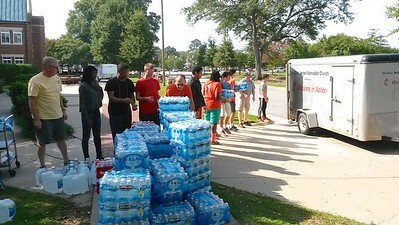 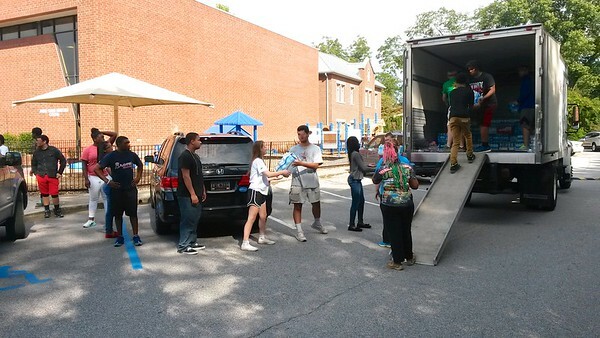 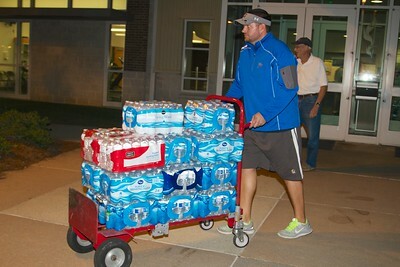 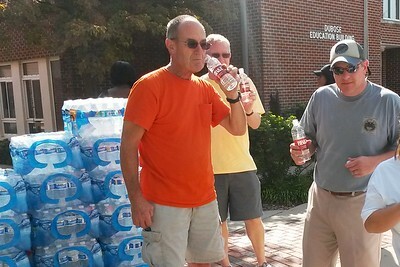 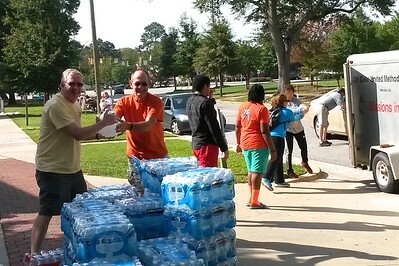 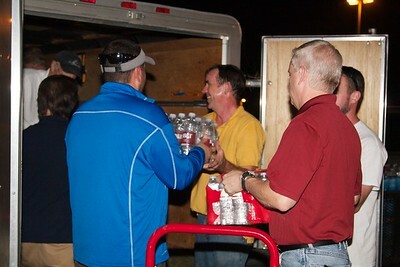 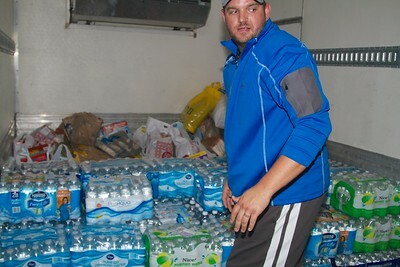 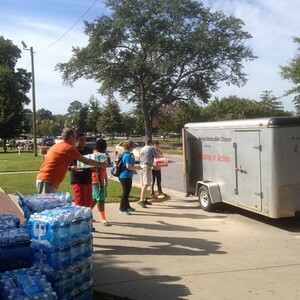 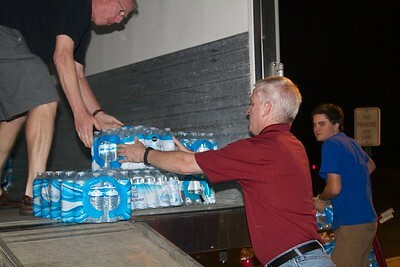 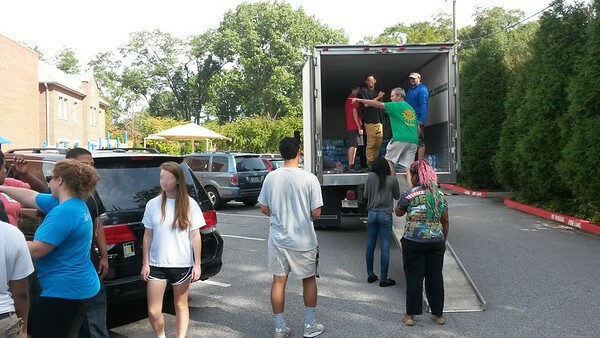 One member filled his personal trailer with 100 cases of water! 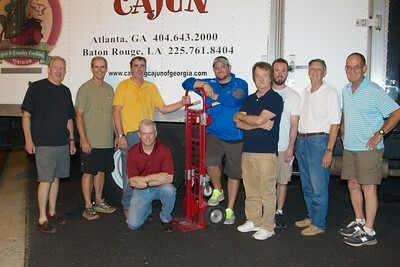 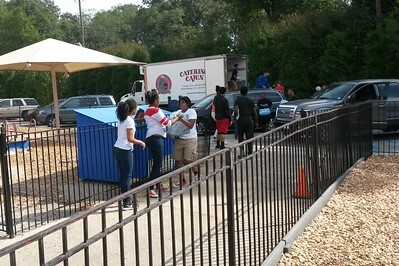 The team in front of the Cajun Catering truck.